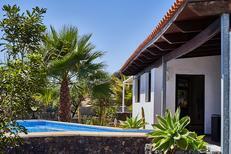 Pool villa for up to eight people on Fuerteventura. ​Canaries | The swimming pool here can be used the whole year round, since the Canary Islands are well-known for their constant and pleasant temperatures. 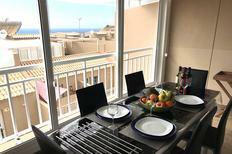 View from the terrace of an apartment for up to four people at the Las Palmas beach. 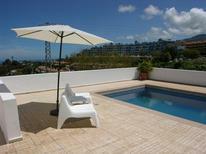 Canary Islands | These holiday homes and apartments are a hundred metres from the water at most. In our opinion, they are the ideal accommodation for a holiday on the Canary Islands. 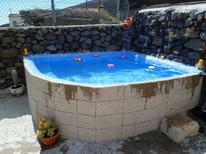 Holiday home located directly on the coast in the north of Tenerife. Canary Islands | Far out in the ocean is where the Canary Islands lie. From these holiday apartments and houses you have a perfect view of the ocean. And it is also not too far to the beach. 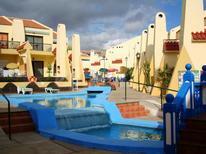 You will find a modern holiday home for up to six people at the Fuerteventura golf club. Canary Islands | Golfers really get their money’s worth on holiday here, as these holiday homes and apartments are either located directly at the golf course or in the immediate vicinity of it. 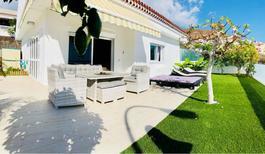 Finca for 10 people with pool at Cala D’Or. Spain | A private property and pool are part of the basic features: Book a finca and enjoy the charm of Spains countryside. Apartment for three people in the heart of Madrid. 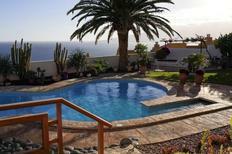 A holiday house on Tenerife costs on average USD 767 in the cheap travel period and USD 909 in the peak season per week. These details are of course in relation to the house and not per person as well as includes the obligatory additional charges. A holiday home on Tenerife places you in the largest of the Canary Islands, a sun-kissed string of isles in the Atlantic which are ideal for beach holidays. There are many historical landmarks and natural attractions to take advantage of on your trip, with plenty of adventures to be had. Boat tours around the coast, hiking to a volcano, exploring caverns and scuba diving are all possible on Tenerife. You can also simply sit back and relax with your own private pool, strolling to the beach whenever you feel like it. Tenerife holiday homes offer the best choice for travellers looking for a varied and unforgettable trip, trusting in safe booking among a large selection of properties. The Canary Islands are well known for their sandy shores and opportunities for bar hopping but there is a lot more to discover for adventurous travellers as Tenerife offers a great deal of variety. One of the tallest volcanoes in the world, Mount Teide is situated in the centre of the island. Surrounding this magnificent natural wonder are the coastlines you can choose from when you book your Tenerife holiday apartment. The capital, Santa Cruz de Tenerife, is situated in the north east of the island at the foot of the Anaga mountain range. The Museum of Nature and Man has actual mummies on display, something which is sure to interest the kids, and San Cristóbal Castle dates from the 16th century. Here you will also find the beach of Playa de Las Teresitas. 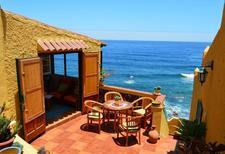 Other popular coastal spots include Costa Adeje and Puerto de la Cruz. 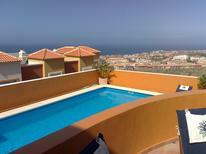 Why choose a holiday home on Tenerife? Holiday homes offer travellers the opportunity to visit Tenerife independently, making the most of their precious holiday time by choosing the exact kind of rental that suits them. Villas with a pool located a stone’s throw from the sea, a holiday apartment on the beach or flats in the centre of town are some of the options you can choose from. 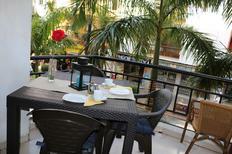 This is an excellent destination to enjoy the great outdoors and so a terrace, pool or garden means you can eat and drink in comfort. More secluded spots in the Tenerife countryside include Granadilla de Abona. This is a superb spot to take the family, with plenty of beaches, water parks, water sports and of course the choice of having your own pool. Jeep tours are a particularly exciting way to see the island and the Mount Teide cable car will take you high above the island for great views of the volcano. Whether the kids are into adventure, photography or swimming there is something to please all of them. Dog owners can bring their pets to many of Tenerife’s holiday homes so they can enjoy a holiday too when you walk them around the parks and promenades. A great idea is to rent a finca, a Spanish farmhouse, and enjoy a romantic and rustic setting for your trip. The cuisine of the Canary Islands has a lot of Mediterranean influences but also uses local ingredients to create special delicacies. Tapas are popular here and are a great way to try lots of different little plates to find new favourites. Herby, garlic-based mojo sauce with meat, fish or potatoes is delicious. Also be sure to taste conejo en salmorejo, or rabbit stew, and the many different dishes made with goat meat. More familiar tastes include chorizo sausage served with bread, olive oil and tomatoes, as well as potato-based Spanish omelette. As a hugely popular international destination, there are many different types of restaurants on the island, including fast food, if you fancy something familiar. In addition to villas, you will find lots of farmhouse-style fincas, which are ideal for large groups and families. Homes here commonly come with pools, as the locals love to make the most of the sun too. Built in traditional Spanish style and painted in festive pinks, blues and yellows, the holiday homes of Tenerife will put you in a good mood from the moment you arrive. Holiday apartments in Tenerife are ideal for getting close to the centre of its towns, and you will never be more than a short taxi ride away from a beach in any case. Santa Cruz de Tenerife is an obvious choice if you would like to combine visits to the beach with urban activities such as visiting museums and enjoying the local architecture and history. This will add variety to your trip and will be sure to keep everyone in the family happy on holiday. The town is also well known for its lively nightlife. Located on the south coast of Tenerife, Las Galletas is a charming little village by the sea which creates a stark contrast to the city. Las Galletas might be a better option for a quiet break, perhaps as a couple or just to focus on taking nice walks and sunbathing. Los Gigantes on the west coast of Tenerife features stunning cliffs overlooking the sea and is also near the volcano. Given its reputation as a sanctuary for sun seekers, Tenerife is very well connected to the outside world. Tenerife Sur Airport (TFS) is on the south coast, between the towns of Los Abrigos and El Médano. It is 40 minutes from Santa Cruz de Tenerife and you can easily reach anywhere on the island by bus or taxi. From London, flights take about eight hours and it is about the same from Manchester. When should I visit Tenerife? With a subtropical climate, the island enjoys many months of fantastic weather, perfect for hitting the beach or pool all day long. Yearly temperatures are quite consistent, often in the 20s°C even in winter. This makes Tenerife a popular destination to escape to in the colder months. Visiting in the ‘shoulder seasons’ of spring and autumn can be a good idea if you would prefer to beat the crowds, although for those who enjoy the atmosphere of bustling bars and beaches, a summer holiday in Tenerife is unbeatable.